The Bison Trail runs from the east entrance of Pioneers Park to the Salt Creek Levy Trail near West Van Dorn and South 1st Streets. 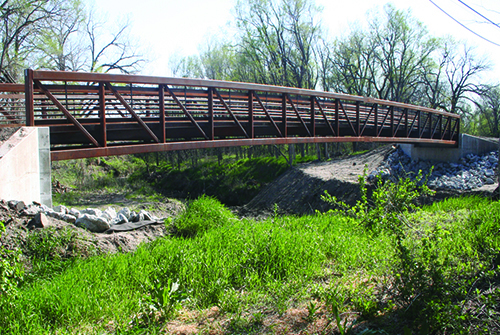 The trail has a beautiful new bridge addition that now makes the connection to Pioneers Park safe and enjoyable for all. The new bridge was dedicated in June 2013.